26/07/2015 - Después de tres días de actividad sin freno, el Campeonato de España Infantil Femenino ha cerrado hoy el telón con el CE Mediterrani como campeón, el CN Sabadell como subcampeón y el bronce para el CN Madrid Moscardó. Además, se han entregado dos premios individuales: por un lado, la jugadora del CDN Boadilla (cuarto clasificado) Laura Gómez ha sido distinguida como mejor jugadora de la competición. Por otro, Paula Nieto (CW Marbella), ha recibido el trofeo a mejor portera, premio que ha recogido Ona Meseguer al haber partido ya rumbo a Marbella la jugadora del conjunto andaluz. ¡Muchas felicidades a ambas, a todos los equipos y al club organizador! 26/07/2015 - El CE Mediterrani se ha proclamado campeón de España Infantil Femenino esta tarde tras vencer al CN Sabadell en la gran final del campeonato disputado en las instalaciones del CN Sant Feliu. El conjunto del barrio de Sants ha vencido por 5—4 a las vallesanas en un choque igualadísimo. Tercero ha finalizado el CN Madrid Moscardó después de ganar al CDN Boadilla en el choque por el bronce, que se ha decidido en los penaltis. Final muy ajustada entre dos equipos muy bien trabajados y que no han bajado los brazos en ningún momento. Han sido claves para el triunfo final del Medi el primer (2-1) y el tercer cuartos (2-0), lo que le ha valido para marcar una cierta distancia. Los dos últimos periodos han acabado sin goles, aunque lo han intentado hasta el final las de Belén Sánchez y Gustavo Marcos. En quinta plaza ha quedado el anfitrión CN Sant Feliu, que ha logrado imponerse al CN Terrassa, sexto. Definidas quedaron ayer ya la séptima plaza (CW Marbella), la octava (Encinas de Boadilla) y la novena (CN La Latina-Alcorcón). 25/07/2015 - Intensa segunda jornada del Campeonato de España Infantil femenino que se está librando este fin de semana en las instalaciones del CN Sant Feliu. CN Sabadell y CE Mediterrani han logrado quedar primeros en sus sendos grupos (D y E). Las vallesanas se enfrentarán al CN Madrid Moscardó en una semifinal, mientras que las barcelonesas se verán las caras con el CDN Boadilla. Solvente se ha mostrado el CN Sabadell en este Grupo E, que debía definir a dos de los semifinalistas. Las de Belén Sánchez y Gustavo Marcos se han impuesto al CDN Boadilla (2-7) y al CN Terrassa (5-9). Segundo ha quedado un Boadilla que ha ganado al Terrassa (10-11). Por su lado, el Medi ha acabado líder del Grupo D tras vencer a CN Madrid Moscardó(7-8) y el anfitrión CN Sant Feliu (2-8). Segundo y con otro billete para semis ha finalizado el Mosca, que se ha llevado el partido frente al Santfe por 8-7. Sabadell-Moscardó (10.10h) y Medi-Boadilla (11.20h) son el plato fuerte de mañana domingo, cuando se definirán las plazas del 5-6 entre Sant Feliu y Terrassa. Séptimo acaba el CW Marbella, octavo el CN La Latina-Alcorcón y noveno Encinas de Boadilla. 24/07/2015 - También ha dado comienzo el Campeonato de España Infantil Femenino de clubes, que se disputa en las instalaciones del CN Sant Feliu y en el que toman parte nueve equipos de la geografía española. Dichos conjuntos, repartidos en tres grupos de tres equipos, se han jugado hoy la fase de grupos, en la que CN Sabadell, CN Madrid Moscardó y el anfitrión Sant Feliu han terminado en primera posición. En el Grupo A el CN Madrid Moscardó ha impuesto su ley tras sumar dos victorias ante el Encinas de Boadilla (14-12) y frente al CN Terrassa (11-5). Segundo ha terminado el conjunto egarense después de vencer al Encinas por un ajustado 3-5. En el B, el CN Sabadell ha finalizado primero al ganar sus dos partidos, primero al CE Mediterrani (3-9) y al CN La Latina-Alcorcón (13-5). Medi ha acabado en segunda plaza tras vencer a los madrileños por 10-3; por último, el anfitrión CN Sant Feliu se ha hecho con la primera posición del Grupo C tras imponerse a CW Marbella (1-5) y a CD Natación Boadilla (3-5). Segundo ha sido el conjunto madrileño, que ha salido vencedor del duelo frente a Marbella (4-6). Mañana los equipos se repartirán en tres grupos (E, D y H), los dos primeros para definir las posiciones de 1-6 y el último del 7-9. The men's tournament of the 2015 World Water Polo Championships in Kazan will be kicked off on Monday by Croatia and Canada. The group (A) that both teams are members of for the preliminary phase of the tournament is marked by four teams who recently have met at least one of the opponents in Kazan. Croatia and Canada however did not. But several players on the current rosters were there in Barcelona two years ago when the Croatians defeated Canada 13-8 in the prelims, then group B, match-up. A 3-0 first-quarter start by the eventual bronze medal winners had them in the driver's seat already after 8 minutes into the game. Now two years later both sides are back on the world's premier stage in the race for another world title. Brazil head coach Ratko Rudic will once again meet the team that he led to the 2012 Olympic Games gold medal in 2012, his native Croatia. Rudic and Brazil caused an upset at the recent 2015 World League Super Final in Bergamo, Italy by beating Croatia 17-10 in the group stage. Croatia went on to reach the final while Brazil won the bronze medal beating USA on an epic penalty shootout. Another member of the group in Bergamo was China, also in group A in Kazan. The Croatians overpowered the Paolo Malara coached side 4-14 while Brazil recorded a solid 15-7 victory. Brazil and Canada will meet once more after nearly two weeks ago, the Brazilians defeated Canada 9-11 in the group play of the 2015 Pan American Games in Toronto, Canada. A top-spot finish in the group at the 2015 World Championships is interesting. The group winners will be qualified for the quarterfinals directly with the 2nd and 3rd seeds to play a crossover round in order to join them. Croatia can be considered the heavy favourite in this group. The team received a blow this week as FINA announced to have suspended their starting centre-forward Niksa Dobud for 4 years due to a missed out-of-competition doping test following a World League game at Montenegro late March. Dobud was already provisionally suspended from mid-April onwards but now sees his 2016 Olympic dream in serious jeopardy with only appeal at CAS in Lausanne, Switzerland as his final option to change that. Despite Luka Loncar and Fran Paskvalin doing their thing at the position in the current team, Dubod will surely be missed during the Kazan championships and thereafter if his suspension becomes indefinite. Still the balanced roster of the Ivica Tucak coached side is absolute world-class and capable of going for gold for a possible first time since the memorable 2007 title in Melbourne. If Croatia manages to hold back Brazil the race for 2nd place could become an interesting one. As the 2nd and 3rd ranked teams out of group A will play group B's 3rd and 2nd seed, the outsiders in group A know they will be up for a tough task as group B consists of Italy, Greece, USA and hosts Russia. Pan Ams bronze medal winners Canada, after missing out on qualification for the 2016 Olympics by falling to the USA in the semifinals just 9-8, seek revenge and success and could very well use a win over Brazil to claim a possible 2nd place in group boosting the confidence ahead of the crossover round, in which USA could very well turn out to be the opponent. But the Canadians have more to think off in the group. They'll face China again. The team that was responsible for their absence at the Word League Super Final as the Chinese caused an upset at the Intercontinental Qualification tournament by knocking off Canada 10-11 in the quarterfinals for direct Super Final qualification. Sandro Sukno (Croatia) - One of three new members of European club champion Pro Recco from Italy for next season, Sukno will once again be showcasing his talents in Italy. The Croatian, joint top scorer of the 2013 World Championships in Barcelona (20 goals, together with Montenegrin Aleksandar Ivovic), is one of the greatest talents of today's game, was an absolute standout for his team at the World League Super Final and will be looking to carry the Croatians in Kazan. Felipe Perrone (Brazil) - At 29 years in the prime of his career. Led his team, Spanish champions, Barceloneta to a bronze medal at the Champions League Final Six in May, before being awarded as Most Valuable Player of that three-day tournament in Barcelona. Perrone continued his good form coming into the international season as his quick offensive movement and sharp shooting carried Brazil to a World League Super Final bronze medal and Pan American Games final berth including top scoring honours netting 19 shots total. Guilherme Gomes (Brazil) - Just 19 years of age and definitely a rising star of the Brazilian team. Finished as 3rd scorer at the Pan American Games behind Perrone and Adria Delgade scoring 11 goals but showcased his outside presence also at the World League Super Final where he emerged as offensive threat backing up usual suspects on offence Perrone, Delgado and centre-forward Josip Vrlic. Justin Boyd (Canada) - After a relatively quiet performance on the offensive end at the 2013 World Championships in Barcelona, that featured just 3 goals, Boyd more and more has developed into one of the premier offensive threats of the Canadian team. He led the bronze medal winners in Toronto scoring 16 goals during the Pan Ams including game-high 5 goals against Venezuela and Mexico. Petar Muslim (Croatia) - Slowly developing into Croatia's regular 2nd scorer, Muslim already displayed his qualities on the international stage during the 2011 World Championships in Shanghai before a shoulder injury kept bothering him for quite some time. More recently however a healthy Muslim is of great value to his team Primorje from Rijeka, Croatia and to the national team where his furious outside shot but also capabilities of playing the more physical positions earn him a leading spot in the Croatian team. 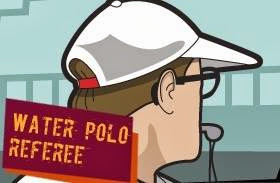 The world of top water polo is a relatively small one. And so it can happen that after the 2014 European Championships in Budapest you will meet again, only now on the world's stage. Such is the case in group A where Greece, Italy and Russia meet once more after being drawn in group A for the Budapest 2014 championships. Results? Greece (12-6) and Italy (13-6) each beat Russia before being tied 9-9 in their head-to-head match in the final round of group play. Now one year later they find themselves one more year developed and matured, but also joined by recent 2015 Pan American Games gold medal winners USA. A young team but in great form and already sure of qualification for the 2016 Olympics. And, as one may expect, it will not be a quiet opening for Italy and Greece in their run for the top spot in the group as they will face off against each other already on day 1 of the men's tournament, on Monday in game 3 of the day in Kazan. And for Greece that is followed by meeting USA in the early morning of Wednesday. Group B is the example of one of the tougher groups during these 2015 World Championships. Hosts Russia are up for a daunting task as being up-and-coming finding themselves in a group of teams that are actually knocking on the door of the absolute world's top water polo or in some cases, perhaps already being there. So the race for first place in this group could turn out to be an interesting one. On paper Italy, actually playing without a left-hander since Valentino Gallo was not selected by head coach Alessandro Campagna, can be considered favourites but it will surely be close in this group. USA and Italy actually met for a 3-game series in the US around New Year with the hosts winning 11-10 and 9-7 after the series opener was tied 10-10. But it is Greece who can be expected a lot from also. The Greek side finally hopes to get past their array of quarterfinal berths in the big tournaments. Last year in Budapest eventual champions Serbia stood in the way, 13-9, while at the previous World Championships edition in Barcelona, also later champions Hungary proved superior: 3-9. But with the core of the group being held together the Greek slowly but surely approach the world's best. In a strong 8-nation tournament in Nis, Serbia ahead of the Kazan 2015 championships, they proved to be on the right path by edging hosts Serbia on penalties in the semifinals only to fall to Montenegro for the tournament win. And what about USA? The young team who had a busy preparation or build-up to this tournament is coming to Kazan in great shape and with confidence sky high. The move of acquiring Serbian head coach Dejan Udovicic, followed by an extremely busy programme of as many as international matches as possible, only to add proven veterans as Tony Azevedo, Jesse Smith and goalkeeper Merill Moses to the squad definitely seems to pay off. The Americans fell to Brazil in a long shootout for the bronze medal at the World League Super Final in Bergamo but were up to the task just weeks later in Toronto, Canada where they won a 6th straight Pan American Games but more importantly, secured themselves of a 2016 Olympic Games berth by edging arch rivals Canada in the tournament semifinals 9-8. Now their gruelling summer draws to a close with another tough task in the form of a strong group B in Kazan. It will be interesting to see how the team will match-up against these European powerhouses. Ioannis Fountoulis (GRE) - Proven shooter. Even given that talent continues to lead the Greek team in scoring from the left wing. Netted 16 goals at the 2014 European Championships in Budapest but also the 2013 World Championships in Barcelona, each time leading his team. Matteo Aicardi (ITA) - Centre-forward but 'new-style'. Strong, yet quick and one of the better players of the Italian team during the disappointing World League Super Final at home in Bergamo. Now in the prime of his career and with a world championship under his belt, we might as well see Aicardi (29) having saved his best for this, and next year. Luca Cupido (USA) - Born Italian and on the verge of their national team before making the move to the USA last season quickly developing into one of their go-to-guys in attack. Cupido scored 16 goals finishing 2nd in the team behind Bret Bonanni's 18 during the recent Pan American Games, including the proven winning goal (9-6) in the 2016 Olympics-clinching semifinal vs. Canada, and in the previous series of friendly matches stood out as fierce shooter scoring the winner in friendly wins over Serbia twice. Konstantin Stepanyuk (RUS) - One of the older players of the team and reliable shooter. Finished 2nd in the goal scorers list of the 2014 Europeans in Budapest after scoring 20 during the tournament and netted 4 in the team's 15-8 win over China to finish the recent 8-nation tournament in Nis, Serbia in 7th place. The third group of the 2015 World Championships men's water polo tournament is a striking one. A single highly favourite team ready to claim the group's top spot and qualify for the quarterfinals directly. That team is defending champion Hungary. But while leading group C in Kazan, the more interesting question could even be who will take 2nd and 3rd place which leads to the crossover round for quarterfinal qualification. Teams from Argentina, Kazakhstan and South Africa find themselves in a situation where this very well possible and could be the start of improving on the ranking in the previous edition of the world champs, back in 2013 in Barcelona. For debutant Argentina it means they were actually drawn in a fairly competitive group and after their recent 4th place at the 2015 Pan American Games can be set for a whole new experience. Hungary's first place is not a hard one to predict. What could turn out to be entertaining is the race for 2nd and 3rd place. Based on the past results the experienced squad of 2014 Asian Games champions Kazakhstan, number 12 of the world champs previous edition, is favourite to take the 2nd spot. Led by former Yugoslavian and Serbian international Branko Pekovic and veteran left-hander Sergey Gubarev, Kazakhstan just lost 9-8 to Germany during Barcelona 2013 group play, while beating Romania 7-4. In the crossover round they took a 2-4 lead over Hungary before being knocked off 16-7. But even in that scenario there's still one spot left for the crossover round to play for by usual competitor at the world championships South Africa and newcomer Argentina. The Argentines however can rely on the experience of professional German Yañez who is the stronghold of his Spanish team Mediterrani, and captain Ivan Carabantes. Yañez however did not finished as the team's top scorer at the recent Pan American Games where Ramiro Veich took a 10th place overall by scoring 11 goals while Yañez finished with 10 and captain Carabantes with 9. They'll face a more experienced South African team although since the 2013 world championships and six players retiring the squad is re-building. In April South Africa won the EU 8-nations cup in Odense, Denmark beating the hosts in the final for a boost of confidence in the long build-up to the 2015 World Championships. But the lack of competitive playing time together, due to both geological and financial reasons, keeps bothering the team. In that department Argentina will have the advantage. But it doesn't mean South Africa will be ready for what could turn out to be the key match in their attempt for a best result at the world championships stage so far. Both teams will meet already on the men's day 1, next Monday. Dénes Varga (HUN) - Still the most sensational player on a highly talented Hungarian team. Continues to surprise with his offensive talents and shooting skills. Most Valuable Player and FINA World Player of the Year in 2013 while leading Hungary to the world title. Still just 28 years of age and in the prime of his career, these 2015 World Championships and next year's Olympics could also very well be highlighted by Varga's offensive outbursts. Márton Szivós (HUN) - Initially left off the squad for the World League Super Final and the rest of the summer, Hungary head coach was quick to re-call the veteran driver, after a dissapointing 6th place finish in Bergamo. His furocious shot (Szivós has one of the fastest shots in today's game) combined with his speed, even at age 33 (turning 34 in August), will have the watchful eye of the crowd at the man who scored the winning goal for Hungary in the Barcelona 2013 gold medal final. Branko Pekovic (KAZ) - European champion with Yugoslavia in 2001 in Budapest and with Serbia in 2006 in Belgrade before claiming the bronze medal at the 2008 Olympics, Pekovic has some experience under his belt. Now the former Serb international carries the Kazakhstan team to a 2014 Asian Games gold medal, a 6th place finish at last year's World Cup and 12th place at the 2013 Barcelona World Championships. Branko Pekovic (white cap, foreground) defending vs. Croatia during last year's FINA World Cup. Just a few days left before the 2015 World Championships water polo tournament will be kicked off in the Water Polo Arena in Kazan with the opening day for the women. The 16 teams are set for what promises to be another interesting battle for the gold medal as the top segment of world women's water polo is well-known for being diverse. Title contenders for the gold medal are litterally from around the globe with Spain being the defending champion. Recent results however clearly point at the reinging champion and recent World League winner United States to claim the gold in Kazan. But there's more. A lot more. Runners-up from Barcelona 2013, Australia, hosts Russia, the Netherlands and Hungary can also very well be considered to be among the group of teams expected to fight for the highest podium. Outsiders? Also well represented. The teams from China, 2011 world champion Greece and 2012 European champion Italy can beat any top squad on a given day. Team USA is the team to beat. The Americans, who recently claimed a 9th World League trophy beating Australia 8-7 in the final in Shanghai, have something to make up for as they finished a dissapointing 5th at the 2013 World Championships in Barcelona after falling to later champions Spain 9-6 in the quarterfinals. Their recent play however has the reigning champions back in the role as favourites for the world title in Kazan. But considering the 'depth' of international women's world top water polo, a gold medal for the USA is far from decided. One of the main contenders is Australia. The Aussie Stingers finished runners-up at the 2013 Worlds, the 2014 FINA World Cup and this year's World League Interncontinental Qualification Tournament and Super Final, apart from Barcelona 2013 each time losing to the USA. It proves they are as close as it gets to getting to the highest podium in what would be a first world championship for Australia since the 1986 inaugural edition, in Madrid, Spain. But the defending champions come from Europe. Spain deservedly went on to take the gold in front of the home crowd in 2013 beating Australia in the final 6-8. The results in the build-up to Kazan however do not feature the convincing results. In this year's World League group play Spain lost matches to the Netherlands and Greece but did earned a berth to the Super Final in Shanghai. However quickly after the final round of the group stage, Spain announced to withdraw from participation in the Super Final stating it would not fit their preparation for Kazan 2015. Instead Spain went their way in completing a balanced programme towards the world championships. Regardless the team should be mentioned among the title favourites. Spain's roster is filled with experience and the core of the team is playing together for quite a while. And leading group A with Canada as expected main rival, the Spanish side could be expected to finish first and ensure a quarterfinals berth straight away. For Australia that competition during the prelims in Kazan will surely look different with 2011 world champions Greece and revitalised Netherlands squad in their group B. The Stingers actually fell to the Dutch during the 7-nation tournament ahead of the Super Final in Kunshan, China although both teams were testing different line-ups and players. The Netherlands meanwhile have built confidence during their long but successful preparation. It included wins of their self-hosted Dutch Trophy and Italian 4-nation Syracusa tournament as well as claiming the bronze medal at the World League Super Final, their best World League result. And so after their disappointing 7th place at the 2013 World Championships, the Arno Havenga coached side is ready to reach its goal in Kazan which is making it to the semifinals. A more than decent follow-up of the 2014 Europeans silver medal from Budapest last year. Group C features not only Team USA but also 2012 European champions Italy, Brazil and Japan. Especially Italy will be looking to take a swing towards the likely US-top spot in the group. The Italians made it to the quarterfinals of the World League Super Final in Shanghai before being eliminated for the medals by the Netherlands who won 8-7. And again did so during a 4-nation friendly tournament in Sicily (Syracusa) recently where the Dutch claimed the overall victory. During the Super Final a following loss to Russia and big win over Brazil had the Italian women finishing this year's World League in 7th place. For Brazil and Japan it could come down to battling for 3rd place which will keep them in the race for the quarterfinals as then a crossover round will follow. But looking at the tight and highly competitive group D, a possible first-place finish could avoid a crossover-round clash with either Hungary, Russia or China. That means there's something to play for in group C.
As mentioned in group D three teams, on paper, will be fighting to finish first in the group stage. Hungary meets familiar foe Russia while usual Super Final hosts China joins them, to be completed by the young but up-and-coming France squad. Russia and Hungary already met this year during the World League prelims in which the Russians won the clash at home 13-11 on penalties while Hungary struck back three rounds later beating the Russians 13-12. As Russia finished 2nd and Spain withdrew, the Russian ladies even made it to the Super Final... where China was drawn in their group. Russia finished pointless as home team China topped the Russians 9-7 in the final group game. China went on to make it to the semifinals after topping Canada 6-5 in the quarterfinals before Australia proved too strong: 3-5. But this group is expected to be a close one delivering some interesting match-ups, with a tough prediction to make on who is to claim the top spot out of these four teams.